The name microskiff implies small size, which indeed is characteristic of this class of fishing boats. But although microskiff are lightweight and not too big, they still require transportation by trailer, which means that their owners are forced to launch them from boat ramps, namely drive there, wait in line, spend precious time on launching, and then waste additional time on getting the boat out and driving back from the boat ramp. Needless to say that boat ramps are always located exactly where the fish are, and this means that further time must be spent on driving the microskiff from the boat ramp where it was launched to the fishery, and back. 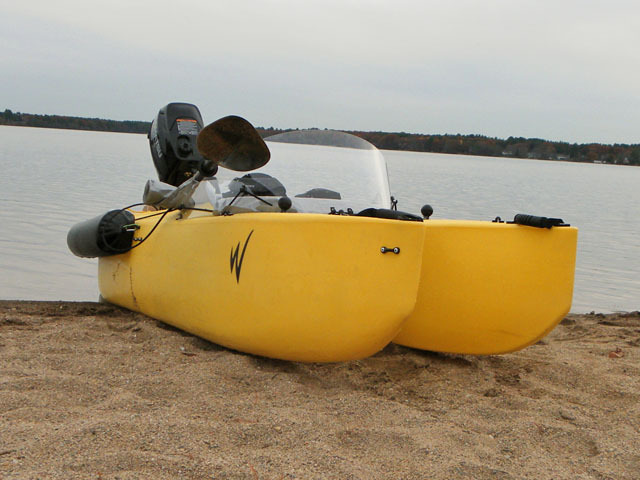 Few microskiff models are small and lightweight enough to be car topped by one person, which means that their owners are prevented from using them as a solo skiff – No fishing buddy means that your fishing trip is canceled. But on top of the transportation and launching problems, the typical microskiff presents yet another problem, which is that it’s not always convenient to drive it in shallow water, which is where it’s supposed to be operated, and poling it is both slow and physically draining. 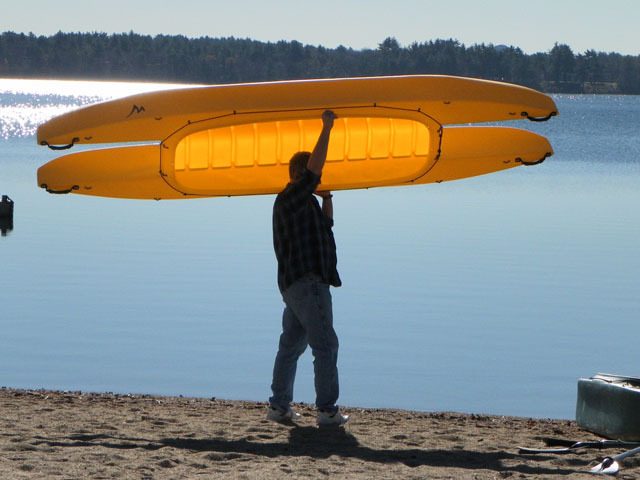 Unfortunately, unlike kayaks and canoes, microskiff are too wide for paddling, be it with canoe paddles, or more conveniently, with dual blade (a.k.a. “kayak”) paddles. Being close relatives of the dinghy, microskiff can be rowed by means of oars, but this method of propulsion is physically hard, slow, and requires expertise that most people don’t have. The first thing would be to get rid of transportation by trailer and everything that entails, and have such microskiff be easily car topped by its crew, whether it’s a crew comprised of two fishermen or just one. In other words, the second requirement from such a perfect boat should be that it can serve as both a two person fishing boat as well as a soloskiff, as far as all functions and situations are concerned. 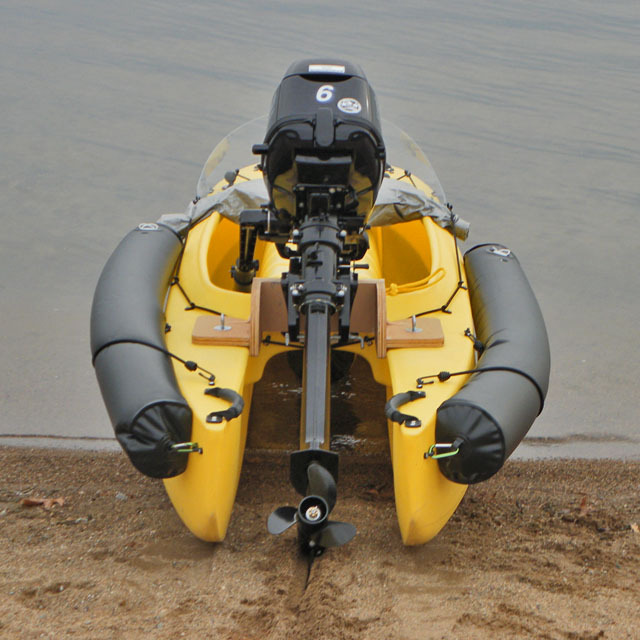 This microskiff should offer enough room for two people stay in for long hours, as well as fish without the problems that often plague tandem crews that fish from small boats such as canoes, job boats, and even microskiff. Another set of requirements would be related to propulsion and mobility: The prefect microskiff should work well both as a motorboat, I.E. 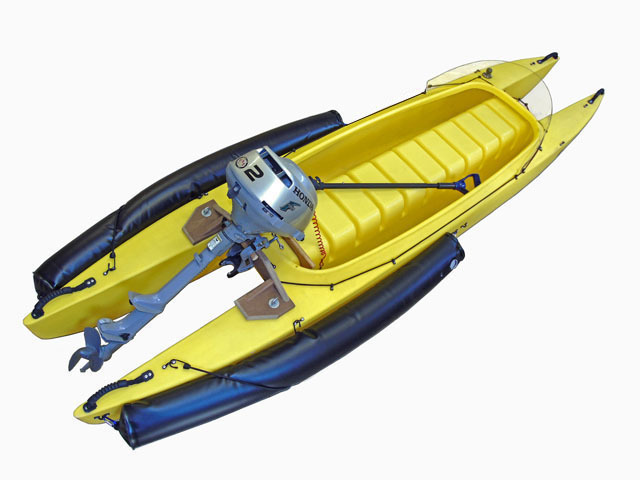 using an outboard motor, but it would be fully operational under paddle, be it in a canoeing or kayaking mode. This requirement is no less than critical for fishing very shallow water, especially where vegetation abounds. Such dream boat should be easy to pole as well, namely that the person poling it would be able to stand in it without experiencing any balance problem. 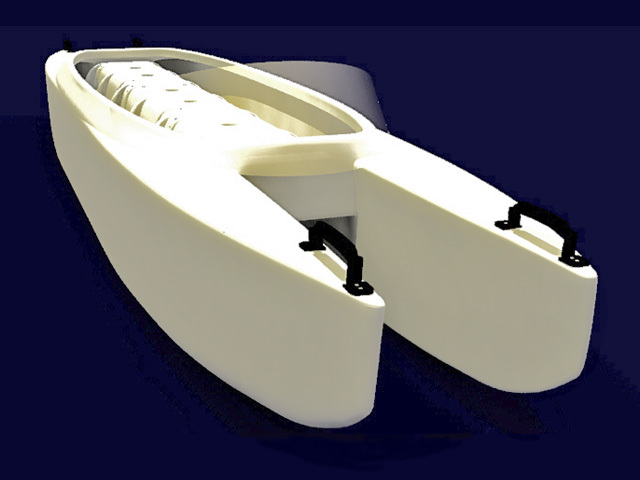 The perfect microskiff should provide sufficient free board and stability to allow for going in choppy waters. This is a must have requirement, simply because you want a boat to go fishing both the flats and other places, including out there, in bays and estuaries where the water isn’t necessarily mirror flat. But is it even possible to design such a boat? It is, and the coming Wavewalk™ 700 series fits all these requirements, and some more. As seen in this video, most of these features have already been successfully tested in the Wavewalk™ 570 series, and the W700 is basically a bigger but just slightly heavier (20 lbs difference) version featuring a much more spacious cockpit, and offering a much bigger load capacity. Both these benefits turn it into a trailer-free, two-person microskiff that you can easily car top and paddle by yourself.